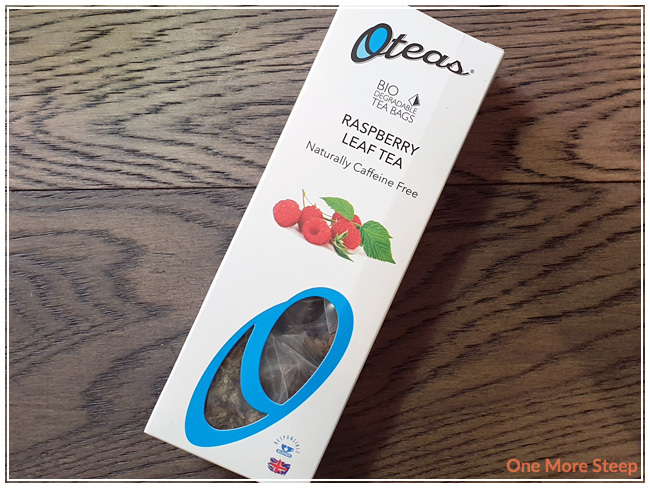 Oteas has provided me with Raspberry Leaf Tea for the purposes of providing an honest review. The first thing I noticed about Raspberry Leaf Tea is the fragrance. It smells fruity – mostly raspberry, and really inviting and sweet. The tea sachets come 12 in a card stock box that came shrink wrapped in plastic – sealed for freshness and all that good stuff. 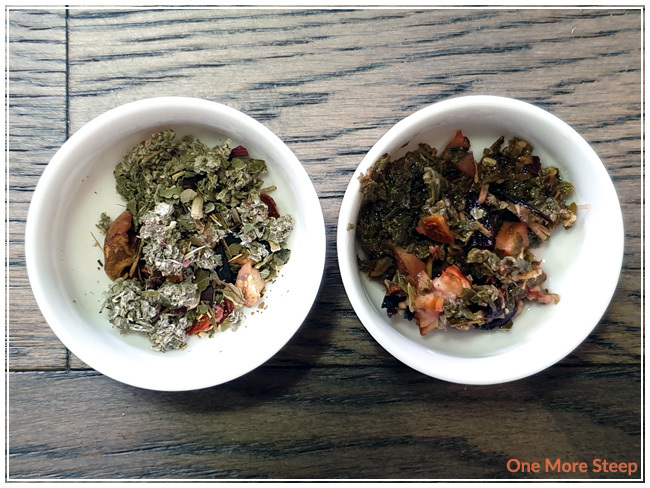 Each tea sachet consists of: raspberry leaves, hibiscus, apple pieces, rosehip shell, blackberry leaves, raspberries. If you’re pregnant, you may have heard about drinking raspberry leaf infusions before for morning sickness – which is something that Oteas mentions on the side of the box – but this blend also contains hibiscus which is often recommended to be avoided during pregnancy. I highly recommend always checking with your health care professional about when to drink herbal teas as a lot of herbal teas also have medicinal effects to the body. This goes for all herbal teas when you take any over-the-counter or prescription medications as well. 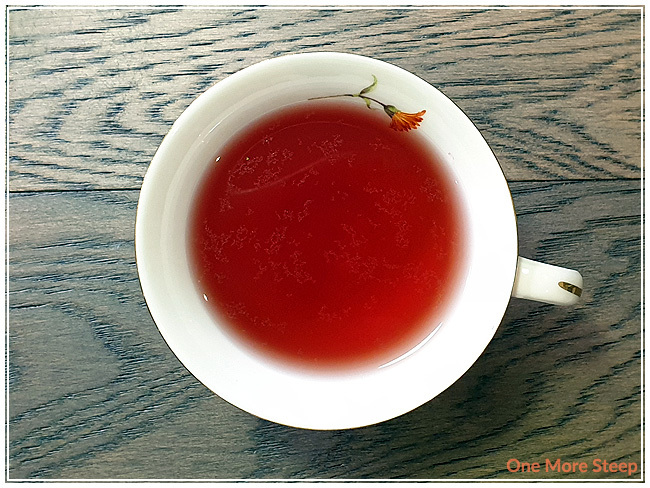 Oteas recommends steeping Raspberry Leaf Tea in 70°C (158°F) water for 3 to 5 minutes. I used my kettle to heat up the water to the lowest temperature (79°C/175°F) and allowed it to cool for 5 minutes, and then my initial steep of Raspberry Leaf Tea was for 5 minutes. Raspberry Leaf Tea steeps to a light berry pink colour. It has a pleasant raspberry aroma to it, and it smells sweet. The flavour of Raspberry Leaf Tea is a mix between sweet and tart, which I think can be attributed to the hibiscus in the blend. It’s not too tart that I feel the need to add some sugar to the cup though, which is good. If you’re not a big fan of hibiscus, I’d recommend a little bit of sweetener to even out the tartness to make it more palatable for you. Overall, it’s quite pleasant and I think it would be great iced. 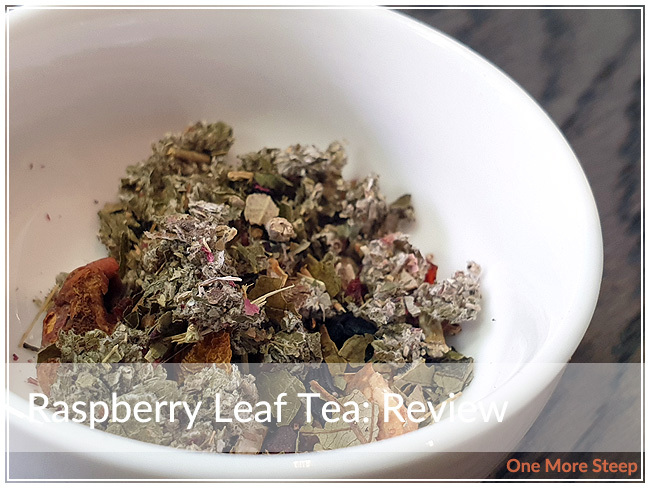 I attempted to resteep Raspberry Leaf Tea once, and found that it didn’t taste as good as the initial steep and was quite watery in comparison. I would say that Raspberry Leaf Tea is good for just one steep. I loved Oteas’s Raspberry Leaf Tea. 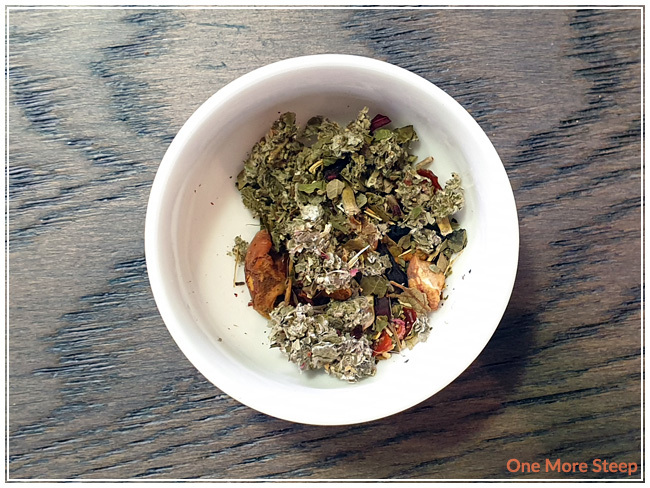 I think it makes for a really nice fruity infusion – it’d be great for iced tea and spring/summer weather since it is a fruity mix. The level of sweet is well balanced against the tart, and the raspberry flavours are well presented in the initial steep. Again, use caution if pregnant or may be pregnant and consult with a health care professional about having herbal blends.